This is the last day for some great specials. It’s hard to believe that it’s Halloween tonight. Have fun and be safe out there. SG is going to be the pirate, Anne Bonnie, tonight, although she decided to be Thing 1 from Dr. Seuss for school today as they are doing dress up as a Storybook Character . I’m going as Professor McGonagall from Harry Potter. S1709– Christmas Tunes is a timeless Stamp of the Month for $17.95 or $5.00 with a $50.00 order. Share A Smile is about Operation Smile. It’s our monthly special and super cute!! Learn more about this stamp set, Punny Pals, the matching thin cuts, and the special card kit with printed directions HERE. In addition, we have wonderful shirts that you can purchase showing your support!! Check them out HERE! 10+Wonderful Workshop guides, one of which can be yours free with qualifying purchase of $25.00! Check it out whats current for this month! Join my FB Customer Group to see all available workshops. Join My Team and receive the Share A Smile card kit, value of $48.69, FREE. It’s $75 to join CTMH. The contents of the Consultant kit are worth $164 AND you get $50.00 of Product Credit to pick out other papers/inks/stamps for a value of $214. Check out this amazing kit. Plus there are lots of other great reasons to join – Check it out. The Holiday Expressions live now until December 31, 2017! Events – check them out on my calendar. Join My Customer Special Peeps Group (Customers only, no consultants please). In this group, you can see the different workshops in albums along with tracking the Great Cricut Giveaway. C1716 Stronger Together – Disaster Relief – 100% of the profits are going to the American Red Cross to help those around the country who are suffering from the wild fires and hurricanes. If you buy nothing else this month, please purchase this. I make nothing from the purchase nor am I given sale credit, nor does it count towards sales for hostess credit, as we wanted the most amount of money possible to go to the American Red Cross. This stamp set does not count towards the total for any special from me as the company does not give me credit for the sale. Thanks for reading to the end of this email/post and taking up space in your mail box. This is your last day for the Share the Smile special! Few days left for” Share a Smile” with a free workshop. Just few days left to get this Share A Smile Card Kit! You can get the card Kit with the thin cuts. Punny Pals stamp set is sold separately. For my customers, I’ve gotten this great workshop from Susan Williams. This is a special workshop for anyone who purchases the stamp set and kit!! You can make these cards with one extra sheet of gold glitter paper and some other neutral colors. With your scraps and the Picture My Life cards, you can create some wonderful, inexpensive gifts. Check out tomorrow’s post for more!! Join My Team and receive the Share A Smile card kit, value of $48.69, FREE. It’s $75 to join CTMH. The contents of the Consultant kit are worth $164 AND you get $50.00 of Product Credit to pick out other papers/inks/stamps for a value of $214. Plus there are lots of other great reasons to join – Check it out. Thanks for reading to the end of this email/post and taking up space in your mail box. Love this cute Punny Pals stamp set and how it helps out Operation Smile. $7.00 is donated for every stamp set sold. I’d love to see what you create with it. Super fun and cute! These cards make great lunch box cards for kids or a partner. You can use them for co-worker gifts, Bible study group gives, atta-boy/girls, thank you notes, card for flowers and more. The says are fun and just make you smile which is why it’s the Operation Smile set. Children and adults will smile at the puns. For every one of these sets that is purchased, donates $7.00 to a child’s new smile. It takes $240 to pay for a child’s smile. Not much at all. Yet Operation Smile still has to turn families away because there are not enough resources and parents have to tell their children “no”, so a simple but life changing and necessary surgery. It can even be life saving. Can you imagine not being able to get the medical treatment your child needed to be able to breath, eat, talk, and smile? To be accepted by their community? It’s heartbreaking to think what it would be like if you could not. So what does the kit include? The card kit includes the dies, card bases, envelopes, paper, and step-by-step instructions for creating 32 cards, and it is available at a discounted price! Create these delightful cards and use them to share smiles all around! Please note the stamp set is sold separately! You can purchase additional cards and the thin cut dies separately if you desire. Here’s some other cute cards make with the set. This is thinking outside the box and pair up the Punny Pals with Christmas. If you do little gifts for your co-workers, teachers, friends – what a way to add a little fun into it! Thanks for reading to the end of this email/post and taking up space in your mail box . Enjoy the Punny Pals stamp set, cards, and the Share A Smile kit. Thanks for helping a child get a smile and a parent to celebrate their child getting help. It truly is priceless. Share a Smile – October Special!! Operation Smile is a wonderful organization that gives not only smiles back to children and adults, but life. By fixing clef lips and palettes, they transform their lives. They can eat, drink, talk, and become socially acceptable in their communities where physical disability often bring ostracization from the community. In addition to this super cute special, I’ll show you below, please remember to round up when you check out. CTMH is matching all rounding up this month!! Your cents go that much further. With the purchase of every Punny Pals stamp set, Close To My Heart donates $7 USD of the proceeds to Operation Smile™, an organization that provides surgeries to repair cleft lips and palates for children around the world. To bring these stamp images to life, we’ve made a coordinating set of Thin Cuts dies and an exclusive card kit! The card kit includes the dies, card bases, envelopes, paper, and step-by-step instructions for creating 32 cards, and it is available at a discounted price! Create these delightful cards and use them to share smiles all around! The Share a Smile card kit can be yours for FREE when you become a Consultant in October or when you host a qualifying party. I’d love to have you as a hostess (home gathering or online/catalog show) or as a fellow team member. I’ve been with CTMH for 17+ years and honestly, I can’t image life without CTMH. Some of my closest and longest lasting friendships have come from Conventions and other events. I’m part of a strong team and lead one as well. You can check out all the reasons to join us here. Physical Cartridge Cricut® Collections to Retire – They are available while they last!! You Are Here is easily marketed as a travel collection BUT You Are Here is literally wherever YOU are at any point in your life!! Growing a family, sports, travel, staycation, Girls Weekend, family reunions, outdoor escapades and hunting, spa retreats and holiday outings. You name it, it’s in there. Be sure to watch Cardz TV to see Mary make wonderful cards from what appears to be a scrapbooking cartridge!Wherever you’re at in your life today, tomorrow or yesterday…You Are Here has shapes and sentiments for every pit stop along the road of life! Click here to see the You Are Here Shapes and You Are Here Index and all the versatile images available! Flower Market is so much fun! It has anything and everything to do with flowers, featuring blooms and blossoms for every season of life…but that’s not all, it also includes containers, banners, critters and more to hold or complement all of the 3-D and layered flower images!! This collection is extremely versatile and includes 2 background/texture stamps to add detail to your cut images, a fabulous sentiment stamp set, and a package of our Adventure cardstock! I love the sentiment stamp set because it’s done in two fonts for the sentiments, the “in-thing” for right now. It’s also small, making it very easy to fit on banners and tags. Check out the Flower Market Shape Index, Flower Market Images and Flower Market Handbook! Artistry is a trendy addition to the Close to My Heart Cricut lineup and your craft stash! This collection includes shapes spanning a wide variety of themes, holidays, and seasons to add some visual spice to any project you create. Get back to basics with the unique font, banners, layered shapes, borders, backgrounds, and other fun icons you’ll find on this cartridge. All of the designs are a must for any crafter! Check out the Artistry Shape Index and Artistry Handbook today to see all the beautiful images available! Artbooking is one of my favorites! It’s all about scrapbooking and mini-albums and is crazy awesome goodness!! For the offline Cricut machines, you set your cricut at 11″ then cut everything for coordinating layouts with overlays, titles, photo mats, etc and it all cuts proportionally for a 12×12 page! For the Cricut Explore, you can drop completed layouts or select pieces to create your own layout. It’s wonderful to be able to use Design Space to change things to make it what you need. The mini-albums give you a “recommended” finished album size then tells you what size to set your dial, you cut all the pieces at the same size setting and have a complete proportionally cut mini-album to assemble. Each of the themes (Freedom, Friends, Fall, etc) have 28 elements per theme, allowing you to have endless creative combinations. Check out the Artbooking Shape Index, Artbooking Handbook and Artbooking Sample Projects today to see all the pre-designed layouts and mini-albums available! Digital collections will remain available for all of these collections. Beautiful Stamps, Amazing Discounts Each month you can purchase a new D-size stamp set, available for one month only, for just $5. 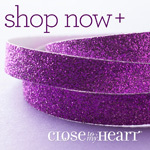 When you place an order of $50 or more in Close To My Heart products, you qualify for this special Stamp of the Month pricing. Here’s some cards using this stamp set. Stay tuned for more to come! Paper Kits of the Month – Cats and Bats and Beary Christmas! October 22 – CropTastic. 12pm – 9pm – please RSVP via the FB Event. Thank you for reading through this post! Lots of great things going on this month! Take care and Happy Creating! Last call to help a child out by purchasing “Share the Love” stamp set. $7.00 goes to Operation Smile where it takes $240 to provide a child with a potentially life saving surgery to fix a cleft lip or palette. Can you imagine your child living with a cleft lip or palette for the rest of their lives? I can’t imagine SG living with a fixable disfiguration which would effect her ability to speak, eat, and subject her to ridicule and stares from those around her. S1602 Balloon Animals is about to go away…..here’s another card made with the set. $17.95 or $5.00 with a $50.00 order! My Cruising Special will get you a FREE My Reflections Paper Pack with your $50.00 order. This ends March 5th. Don’t miss out and have a great day!! This is a beautiful video of the work Operation Smile does. One of our Corporate Office staff, Monica, went on a mission. So come join the club this month and help support Operation Smile! Don’t forget with a $50.00 order you’ll qualify for a FREE gift! The challenge was a one layer so I took some painters tape and gently put it down so it would come off without ripping the paper. Doing this was inspired by two of the samples (Heather and Jenn’s) posted on the SSS Wednesday blog, I took some Tim Holtz distressing inks, sponges, and created the ombre background. Using black Memento ink, I used the super cute stamp set CTMH has designed for the raising money($7.00 of every set purchased, is donated to Operation Smile) this month for Operation Smile “Sharing the Love” CC1060, to stamp the camera, dialog box, and a sentiment. I stamped them over the background, working diagonally across the card, opposite of the background diagonal. The camera is centered. I used one of my favorite embellishments, Purple Enameled and Glitter Heart Duos, taking one of the glitter hearts to add a little bling to the heart on the camera. This was a fun card to do and reminds me that simple, as in one layer, is often best and it looks great! Thanks for stopping by! Helping a child smile and you’ll get some love for yourself! This month we are focused helping a child smile by raising money for the nonprofit, Operation Smile. A tidbit about me – my degree is in Speech Pathology and Audiology, plus I have worked with children for years (over 20). My background makes the Operation Smile mission near and dear to my heart. Operation Smile is focused on providing surgeries for children who have clef lips and palates. It’s such an important surgery as it enables children to eat and breath properly as well as improving their ability to speak and smile. And to think, the cost is $240/child to do this surgery and it can be life saving for some of them. Can you imagine being the parent who is waiting to see if your child qualifies to have the surgery? To have walked miles, days, weeks to stand in line for days to see if your child is selected? Close To My Heart (CTMH) offers several different ways to help out raise money for Operation Smile, all of which you get some love too! It’s a fantastic exchange. Third Way – Share the Love Stamp Set – $7.00 is donated to Operation Smile with each stamp set purchased. Some other ways you can help out this mission – save your pennies and coins for me. I have a “Pennies for Smiles” jar at every crop where I’m collecting change to support this. So far from the first 3 big crops of the year (2 from Harbor Scrapbooking and one from the Canaan Valley Crop) we have raised $225.51! Just a little bit shy of $240.00 for one operation! This is just from your change! We have a few more big crops to go and I hope we can exceed what we’ve done already!! Thank you for helping a child smile! Have you heard of Operation Smile? If you have not, it’s an amazing non-profit from Virginia, who focuses on providing life-changing operations for children around the world born with cleft lips and/or palettes. And we have this super cute animal stamp set with sayings for $17.95 and $7.00 of this set funds Operation Smile!! So be looking for the “Pennies for Smiles” jar the crops and add your “2-cents worth” to it. Together, we’ll make the difference. I’m not the best about sharing Operation Smile and I need to be better. Operation Smile is a wonderful organization who’s focused on providing children with cleft palette defects with operations to fix this. It’s truly amazing what $240.00 can provide for a child! We are now selling T-Shirts to support Operation Smile and $10.00 of every shirt will be donated! Aren’t they super cute?? Get yours today ~ They are $25.00 and $10.00 of this goes to Operation Smile! My goal this year is to raise $500.00 – enough money to provide 2 children with a life changing surgery. I personally can’t imagine being a parent and not being able to get a surgery for my child because either I could not afford it or the current health care system can’t provide it. When I see the groups of parents and children waiting for assessments to see if they qualify for the surgery, it breaks my heart. So thanks for helping me reach my goal of raising $500.00 and supporting Operation Smile. 2 children, somewhere, will appreciate being able to eat, breath, talk, and smile because of your generosity.